15% off using Gianna Kazakou Mobile! Earn up to 35€ for 3 more days! Don't you think it's time for your Xmas shopping? Get a FREE pair of jelly shoes for every order above 30€! Don't miss our new offer! 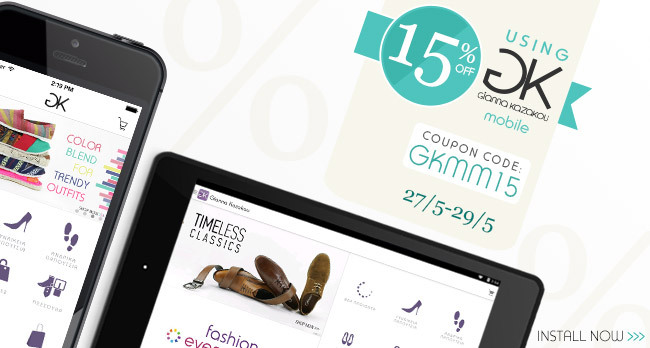 15% off for 3 days using your smartphone or tablet! 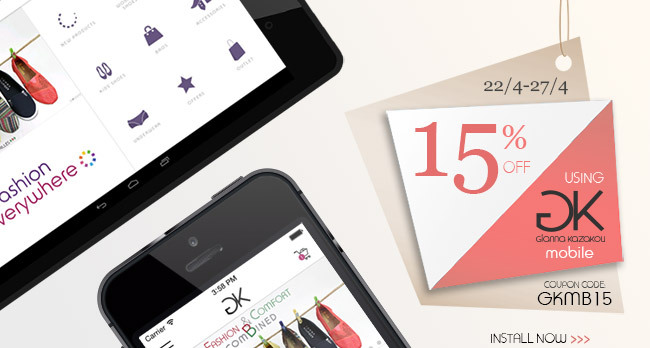 Get 15% off using Gianna Kazakou Mobile! Take advantage of our new great offer! 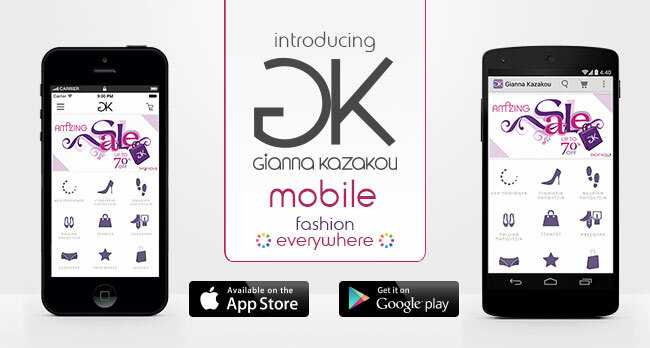 Gianna Kazakou Mobile is here! Mobile shopping has never been more fun! Crazy Sales: all Summer 2013 items 50%-70% off! The bargain you must not miss! All current season products now at prices lower than ever! 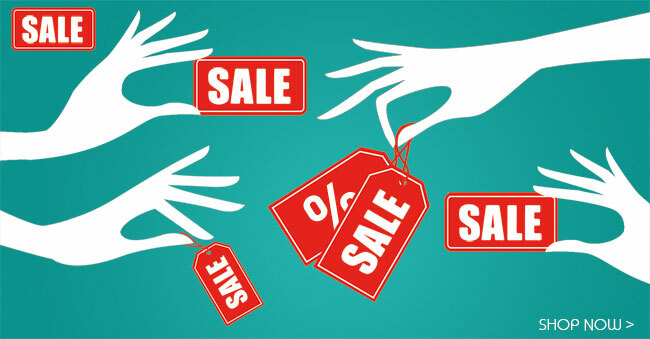 Fashion sales in your palm! Shopping made easier than ever! Trendy styles at even lower prices!